The prospect of Hyperloops connecting Russia's biggest cities taken a step forward after Russia's most prominent backer of the project, Ziyavudin Magomedov, joined the Hyperloop One board of directors. 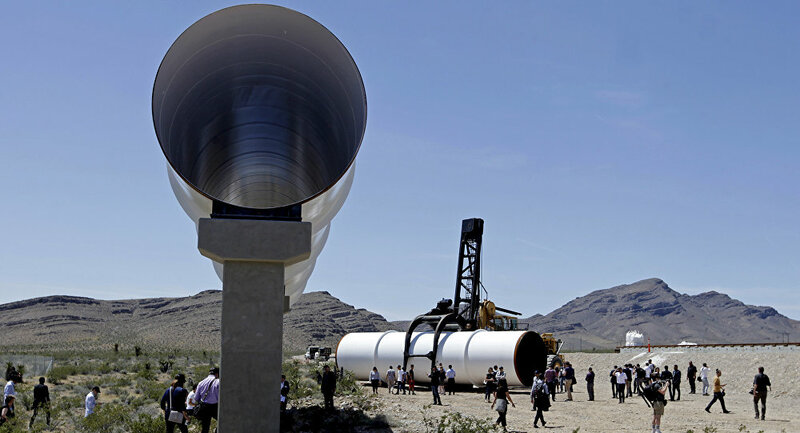 First proposed by Elon Musk in 2012, the Hyperloop system is being developed by a Los Angeles-based company called Hyperloop One. It proposes to use electric propulsion to accelerate a passenger or cargo vehicle through a tube in a low pressure environment. On Thursday, Hyperloop One announced an extra $50 million in financing for its project, bringing total investment to $160 million. Magomedov is one of two newcomers to the board, along with the chairman of DP World Group of Dubai, Sultan Ahmed Bin Sulayem. The company is the third largest port operator in the world, and recently signed an agreement to construct a Hyperloop system to move containers to an inland container depot. Magomedov is chairman of Russia's Summa Group, a diversified private holding company with significant investments in port logistics, engineering, construction, telecommunications and the oil and gas sectors. Magomedov's Caspian Venture Capital group has made two investments in the project totaling $91 million, RIA Novosti reported. He hopes that Russia will become one of the first places in the world to be linked by Hyperloop. At the St. Petersburg International Economic Forum earlier this year, Summa Group, Hyperloop One and the local government of Moscow signed a memorandum of understanding for the construction of conceptual Hyperloop technology wholly or partly in Moscow. In the future, such technology might be used to connect Moscow's airports with New Moscow, a newly-annexed region of the capital. Magomedov told an audience at last month's Eastern Economic Forum that he envisages a network of Hyperloops to have been constructed by 2024 or 2026, which would connect some of Russia's major cities. "This (Hyperloop) isn't any different from an airplane from a physics point of view. I think the Moscow-St Petersburg and Moscow-Sochi routes are promising," he said, according to RIA Novosti. Magomedov also discussed plans to build another Hyperloop to link Russia's Far East with China. The project aims to build a 65km tube linking Russia's Zarubino port with Primorsky Krai, through which Hyperloop capsules could travel at an average speed of around 740 km per hour.